Frank Newman recently wrote an article in the Property Plus magazine titled “ Perils of being a Landlord”. Here he outlined what he, and others, consider are the common complaints or frustrations from landlords. We have included that article below. We agree that being a landlord can be incredibly frustrating, and that is why we offer our Property Management service to landlords and tenants. By taking away some of the ‘frustrations’ like collecting rents, property viewings and regular house inspections, we hope that our Landlords’ experience will be a positive one. Read some of our testimonials to see how we can make a difference Connect Realty Testimonials. If you are considering buying a rental property, or have an existing property you wish to rent out, call us today for more information about the Landlord services we offer, we guarantee your experience will be a positive one. The term Land-lord has an aristocrat resonance about it. The reality is there is nothing easy about being a landlord. For most it’s a rude awakening into aspects of human behaviour that most prefer not to associate with. The NZ Herald (Diana Clement, 3 May) ran an interesting article recently about the perils of being a landlord. Here are some key points. tenants. Most of the applications filed by landlords were for rent arrears (61%). referred to the Tenancy Tribunal. • Prospective tenants not keeping appointments to view the property. clean the tar from the ceiling and walls!). • Keeping pets in a pet-free property. One property owner describes it this way. be using your premises to operate a “cash” business). • Tenants who sublet the property without the landlords consent. • Tenants leaving piles of rubbish and belongings when vacating. kitchen cabinets and floors. A lot of damage can be done between inspections. in small amounts over a very long time. 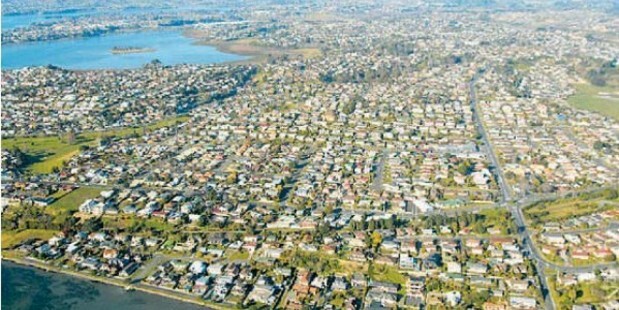 An estimated 30,000 new homes will need to be built in Tauranga to deal with a predicted population explosion. An estimated 30,000 new homes will be built in Tauranga by 2041 to deal with a predicted population explosion, a council report reveals. The population of about 120,000 people is expected to jump 45 per cent to an estimated 175,000, according to SmartGrowth data. The information was included in the Tauranga Transport Strategy, presented to and adopted by the city council yesterday. Many of the new homes would be built in Papamoa, Pyes Pa, Welcome Bay and Ohauiti, Pukemapu and traditionally popular suburbs such as Mount Maunganui. Council infrastructure planning team leader Philip King, who presented the transport strategy to councillors, said forecasted housing and commercial growth would result in traffic congestion on key roads in the next 30 years. The congestion would undermine access to the port, which played a big part on the region’s economy, he said. The strategy highlighted other roading issues associated with the predicted growth such as accidents, public transport use, rail and infrastructure management. It included a long-term plan to increase the percentage of freight carried via rail to remove trucks from the roads, including a new rail bridge crossing from Tauranga to Mount Maunganui, offering fast access to the port. The need for a dual-track rail corridor would be explored, along with electrification of the rail network, the strategy says. The report highlights the possibility of exploring other transport options such as a city-wide ferry service and ways to encourage people to use other modes of transport besides private vehicles. Mr King said Tauranga survey data suggested 98 per cent of all trips in Tauranga were in a private car, between 9 and 33 per cent higher than centres such as Hamilton and Christchurch. 8600 houses to be built in Pyes Pa, Welcome Bay and Ohauiti and Pukemapu. 8300 dwellings would be built within traditionally popular suburbs such as Mount Maunganui onsubdividable sections. An estimated further 14,500 houses would have to be built in the city in the decade following 2041. “Council should … where possible, minimise parking in new developments to support public transport, provide facilities on bus routes, and consider the proximity of new housing developments to bus stops,” he said. Mayor Stuart Crosby told the Bay of Plenty Times the transport strategy was one piece of work to future proof the city. Mr Crosby said the council would have to consider public transport, roading and rail as the city grows.